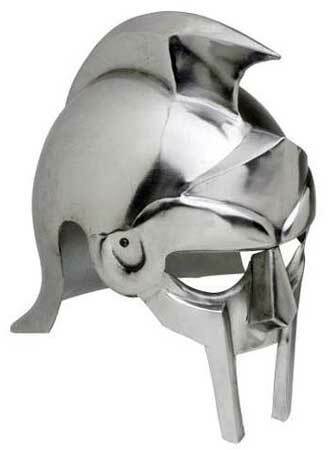 We are recognized as one of the most prominent Gladiator Helmet exporters from India. Various national as well as international clients are placing bulk orders for the Gladiator Arena Helmet due to the unmatched quality and fine finish. The Gladiator Fight Helmet is also available in varied specifications to meet the requirement of the clients. The array also encompasses Gladiator Armour Helmet at the most reasonable prices.